Are Lufthansa About To Order 15 Airbus A380neos? Lufthansa could be about to order 15 new A380 aircraft according to unconfirmed rumours. The German flag carrier currently operates 14 of the A380, with the most recent delivered in April of 2015. Lufthansa hinted that more A380s had been ordered through a tweet published on Friday. 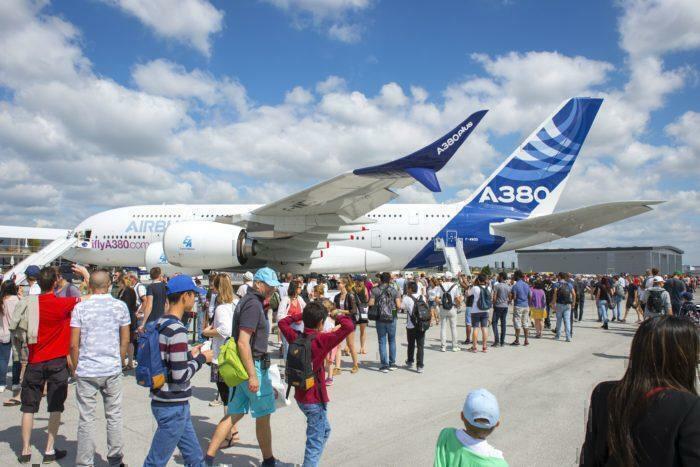 With the A380 program constantly under scrutiny by Airbus executives, any additional orders would be a boon for the European manufacturer who is yet to break even on the aircraft. Lufthansa is no stranger to Airbus, with most of the airlines fleet comprising of the aircraft. In September, the airline placed $3 billion worth of orders for new aircraft. This was however for A320 and A321 aircraft. Lufthansa did not say what the news they are to announce is regarding, however, a few hints were given. In a tweet, the airline said: “Big things are coming our way. Stay curious and enjoy the weekend. #HappyFriday”. This was accompanied by a picture of an A380 in front of a picturesque sunset. Now, there are a couple of things that this could mean. The first could be a simple repaint. The Lufthansa fleet is currently in the middle of being rebranded by the airline. The airline is switching to a slick yet simple blue and white livery. It could be that the airline is teasing us and announcing that the A380s are going to be repainted in the new livery. If Lufthansa was to go ahead with ordering new A380 aircraft, it could be for one of two reasons. The airline could be purchasing the A380 Plus to replace its current fleet. While the airlines A380’s are currently still very young this would seem unlikely. We have already seen the first A380 aircraft being retired though. The A380plus is supposed to be much more efficient than the current A380s in the sky. The airline could also want to double the size of its A380 fleet. Unfortunately, the A380 is a very niche aircraft and can be difficult to fill on all but the busiest flight routes. While it would certainly be exciting to see the German airline ordering 15 new A380s, it does, unfortunately, seem quite unlikely. We will keep you up to date with any updates to this story. Do you think Lufthansa will order new A380 aircraft? Let us know in the comments down below! Update 1st November: Lufthansa has since confirmed they won’t be ordering the A380. Would be nice to see more 747-8I Intercontinentals. A huge number and f airports can handle the 747 than the A380. I hope British Airways orders a pile of them too. Everyone loves the 747!!!!! I bet Boeing would give a great deal on them versus the A380.